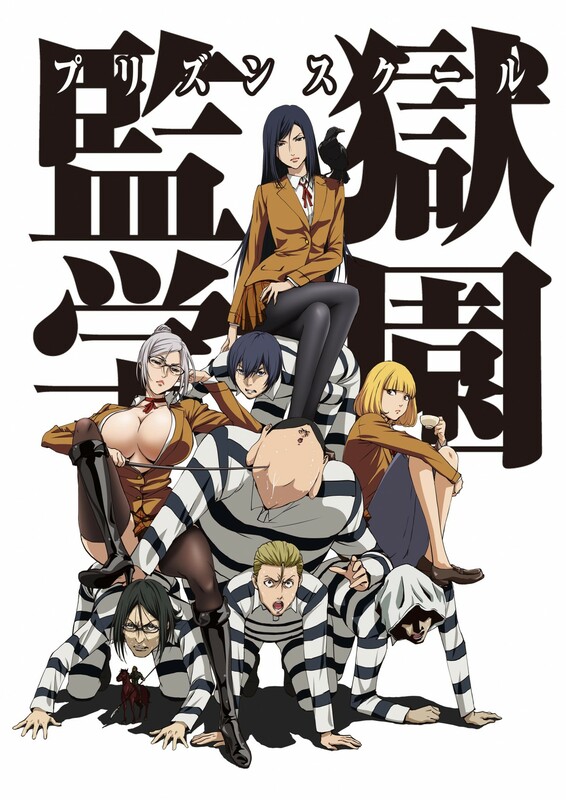 “Prison School Isn’t just an ero-anime,” says the voice actor of Kiyoshi, Kamiya Hiroshi. 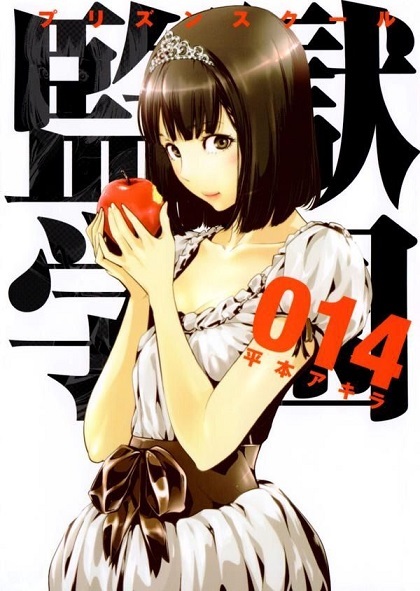 Kamiya became a fan of the series as soon as he started reading the manga. With its beautiful visuals and gripping storyline, it’s a story that combines every form of punishment possible with a young men’s coming-of-age story. Let’s see what Kamiya thinks! Firstly, please tell us how you were offered your role. What about the series were you attracted to? The art is beautiful, and the juxtaposition of using such nice art to tell a comical story is interesting. The main feature is clearly the vulgarity and obscenity, but what really hooked me in was the exciting prison break storyline. Kiyoshi and friends gain a lot of wisdom through trying to escape. The friendship between the boys is really attractive. And the story is thrilling, so I’m always on the edge of my seat waiting for the next chapter. Did you learn that you would voice Kiyoshi after that, then? Yes. While reading the manga, I thought to myself, “Could I rise up to expectations no matter what character I was given? No, there is no could- I have to.” But it turned out that Kiyoshi was the easiest role for me in the end. 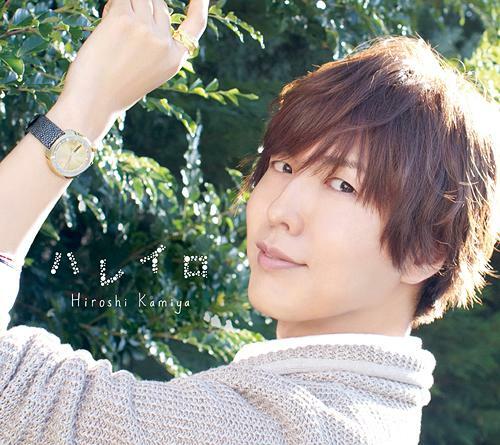 What did you have in mind while recording Kiyoshi’s lines? “I’m just a regular high school guy.” His character and the situation he’s in are both abnormal, but in the end, he and his friends are just high schoolers. I believe the story is about high schoolers, and the results of their pure-minded actions. I didn’t try to emphasize that- I just tried to keep that high school mentality in mind. What part of Kiyoshi can you sympathize with? The part where he’s always going back and forth on things. There’s no feeling of “I am what I am!” with Kiyoshi. Also how he treasures his friends. Even before, I’ve always valued friendship. I feel like I really can understand how he puts his friends before anything else. And something that’s in the lyrics of the second opening- how he’s interested in girls, and wants to show it, but in the end can’t even manage to say hi. That part is so like a high school boy. I was like that too, so I can really connect with that part of him. When I toured the recording studio, I heard a lot of laughter. Is the atmosphere always so cheerful? Yes. The cast and staff all like this work, and when you gather so many fans, it’s bound to be full of laughter and jokes. The test runs are always fun, but we have to try hard not to laugh during the real recording. I heard there’s a lot of ad-libbing. There’s lots of ad-libs because the script says “ad-lib” on it. For example, in a scene where Kiyoshi and Gakuto are planning their strategy, Andrei and co. are in the back hanging out. In these kinds of scenes, there are no written lines, just “ad-lib something that that matches with the picture”. So it’s ad-lib, but within confines. I haven’t had any yet, but if it’s asked of me, I definitely will do it. Did you get any advice or requests from Director Mizushima? Before the start of recording, he asked all of us, “has everyone read the manga?” We had all replied, “yes,” to which he said, “Then we’re all good.” That’s about it. How concise! (laughs) Aside from that, were there any other exchanges? Is it because of things like that that Director Mizushima is called “crazy”? Crazy is a bit of a strong word, but the director is definitely very fussy. He’s very particular about what lines would sound good in what scenes. Yeah. It was definitely a challenge to make it appropriate enough to air. The director said, “well everyone, wouldn’t it be fine to be arrested once? It’d give us more publicity anyways…” We made the show with this kind of tension. 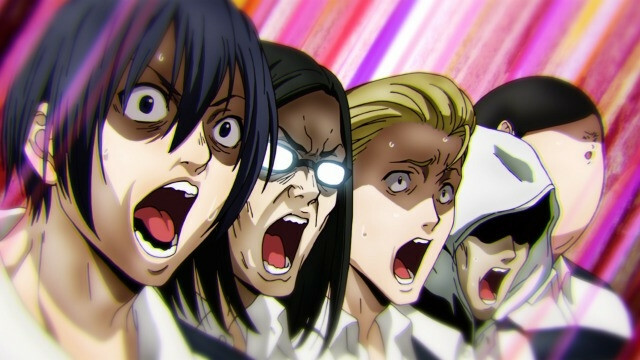 The opening and ending song were both done by the five of you male prison school characters, right? Yes. The opening was written by Narasaki, and the lyrics were written by Ohtsuki Kenji, so it sounded like my favorite band Tokusatsu’s songs. It was difficult to sing, but it was really fun to be able to help make a song. Lastly, please leave a message for the readers. I don’t have anything to say to those that are already watching our show! But for those who aren’t- please tune in every week! For those thirty minutes, you can feel like an idiot while watching our antics. You'll definitely enjoy it!